Found this on my morning perusal of Facebook. A little blurb on the Sufi Master Meher Baba. There is more to it but it was these parts that resonated deeply with me. Question: What, in his opinion, is the real meaning and purpose of life? Answer: It is to become identified with the Universal Self, and thus to experience Infinite Bliss, Power, and Knowledge; and finally, to be able to impart this experience to others, and make them see the One Indivisible Infinity existing in every phase of life. Question: Does Shri Meher Baba deny “matter”? Answer: He denies nothing because for him duality does not exist. To a God-realized personality, matter and spirit seem both to be merged in the Ocean of Divinity. He sees the “Divine One” playing simultaneously the different roles of the soul, spirit, mind, and body. * The body is the medium through which the mind puts its desires, emotions, and thoughts into action on the physical plane. * The mind is the medium by which the spirit’s experiences of matter are expressed. The God-man teaches us the Truth that to realize the oneness of everything we must realize that spirit and matter, or the spiritual life and material life go hand-in-hand. When intellect and feeling, or head and heart, are equally developed and balanced, the apparent antithesis is resolved into the One Divine Consciousness. Spirit vessels are used in witchcraft to attract, ground, and manifest spirits. For spirits of the dead they act as an anchor to our middle realm so the spirit is able to stay here longer, communicate more easily, and even manifest in some perceivable form. 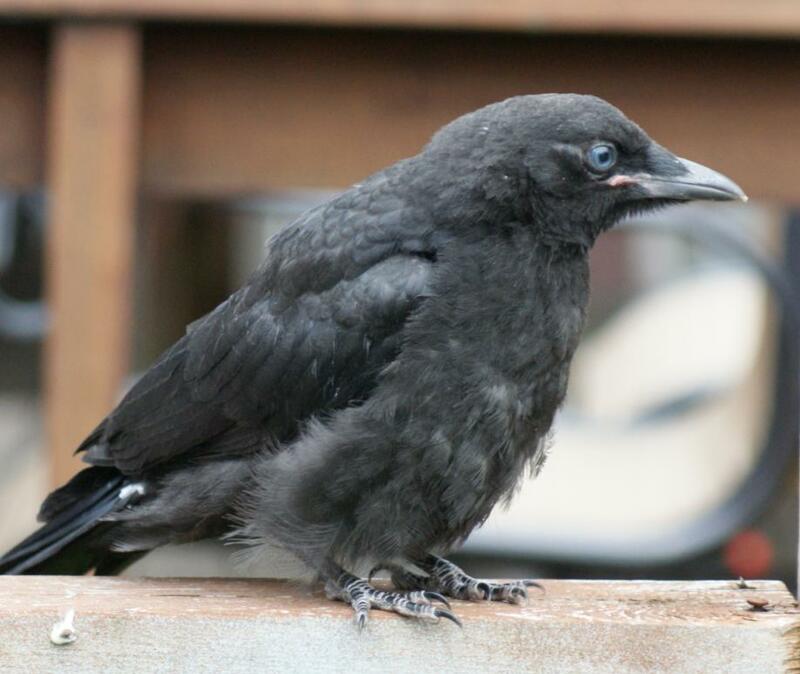 Here is a simple method to craft a spirit vessel for working with the beloved and mighty dead. 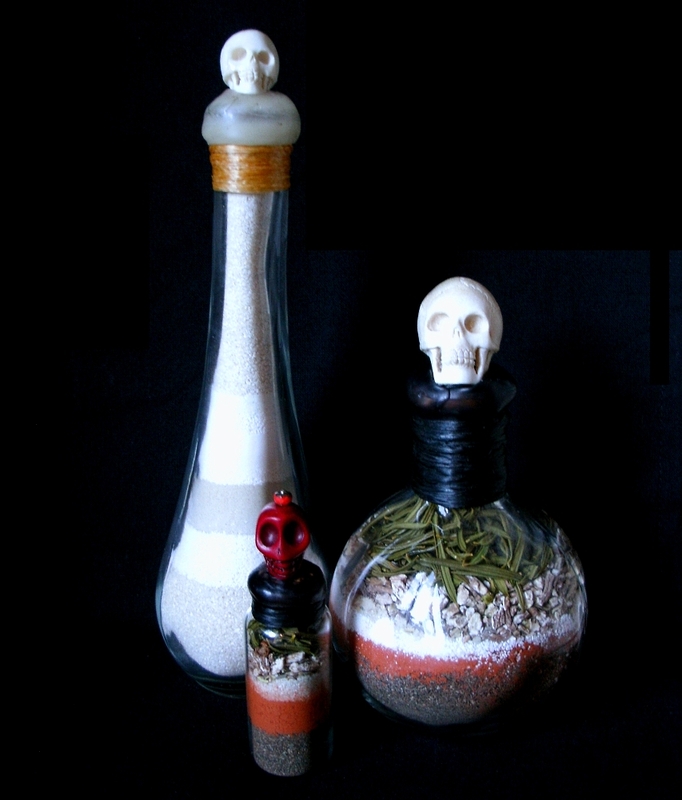 You will need a glass vial, bottle, or jar with a cork or lid, a skull that will fit on top (bone and antler are best, but stone or other materials will do), a candle (white, red, or black), and herbs associated with attracting spirits and summoning and manifesting the dead. A good read on herbs. I’ve been called to redevelop and expand on my herbal knowledge for both spiritual and mundane practices. It seems Hera has come to visit, as a manifestation if The Great Queen. My spiritual life is such a strange place. I suppose that’s what I get for deciding I don’t need to stick to one Path (as long as I practice them seperately!). 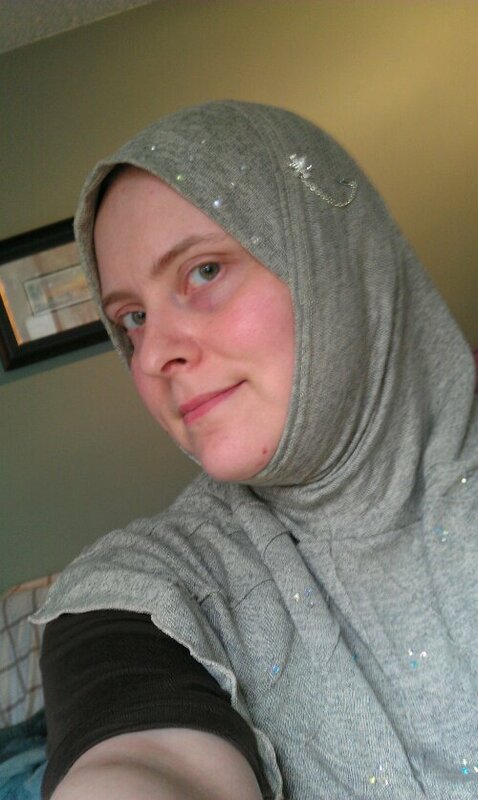 I put on my new Al-Amira hijab today before going out and put my mini Qu’ran back in my purse. I’ve felt compelled to start lighting up my big altar/shrine again and properly, not the half assed fashion I’ve been doing it in for quite some time. And once again Christianity/Catholicism is tapping me on the shoulder. Love this one. What are your thoughts?